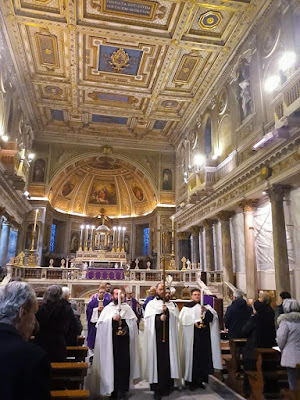 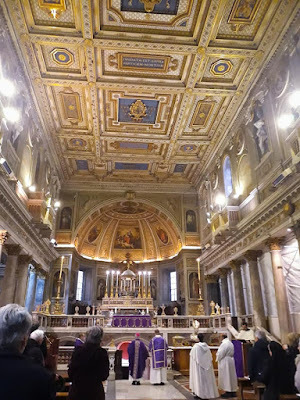 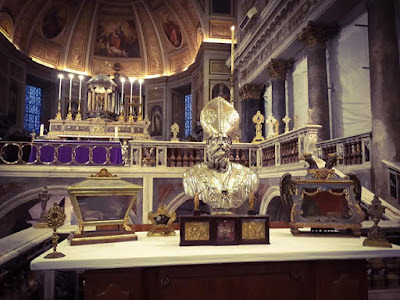 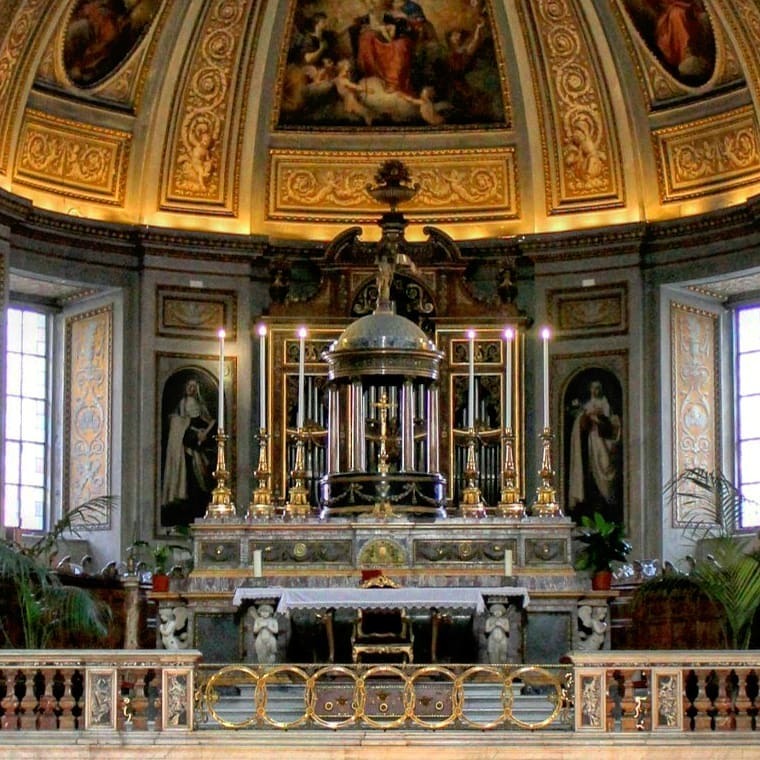 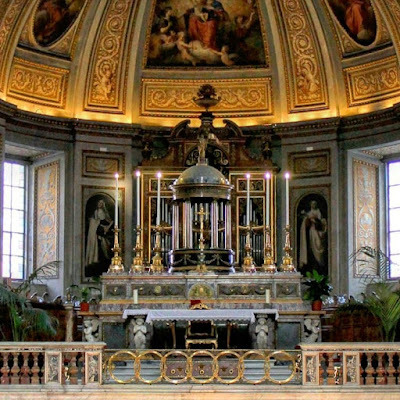 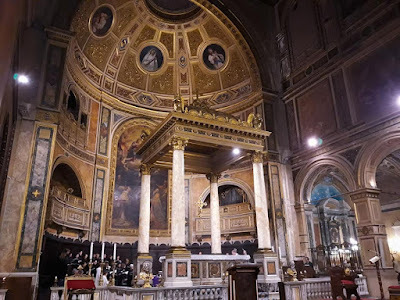 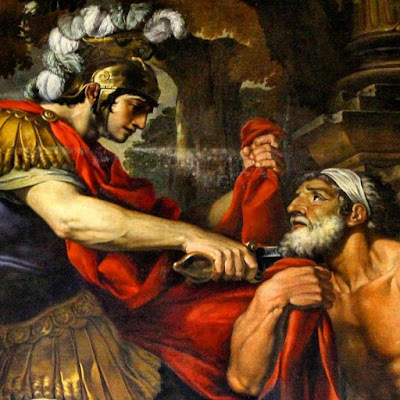 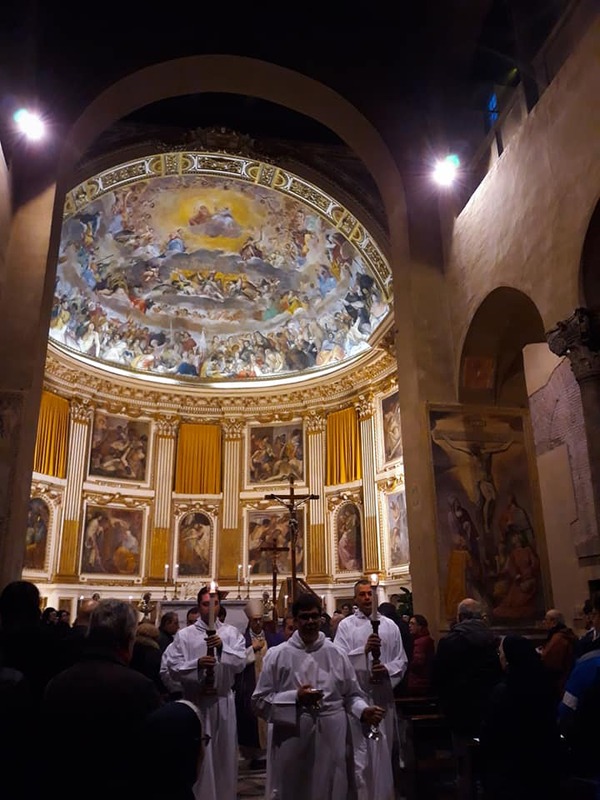 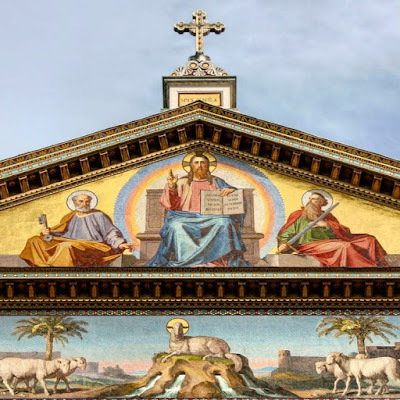 The Lenten Station Masses held in the evenings by the Vicariate of Rome are often preceeded by a procession, and accompanied by the exposition of relics; today’s post has some especially good examples of both. 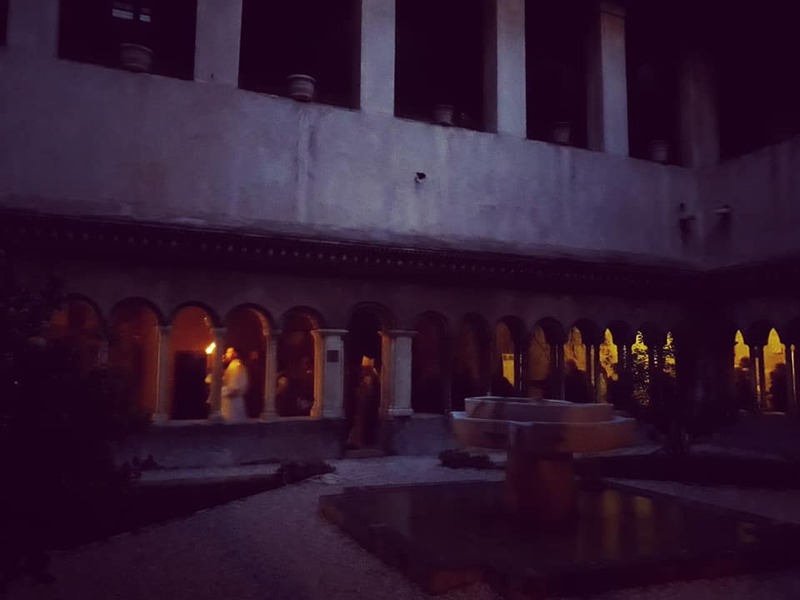 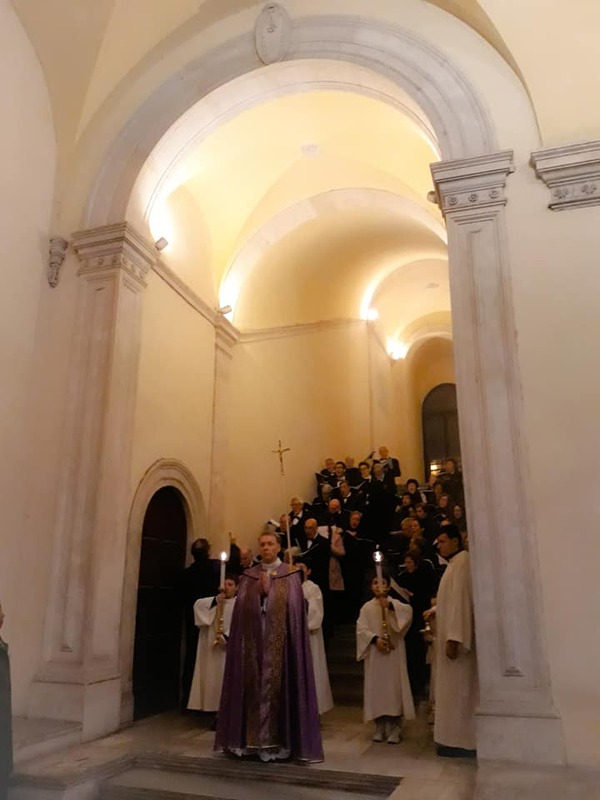 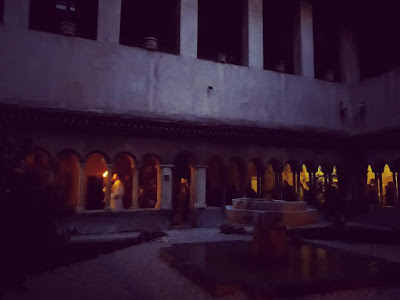 Every year, Agnese manages to catch a few particularly good photos of the processions going through one of the cloisters, as we see below at the church of the Four Crowned Martyrs and at San Lorenzo in Damaso. 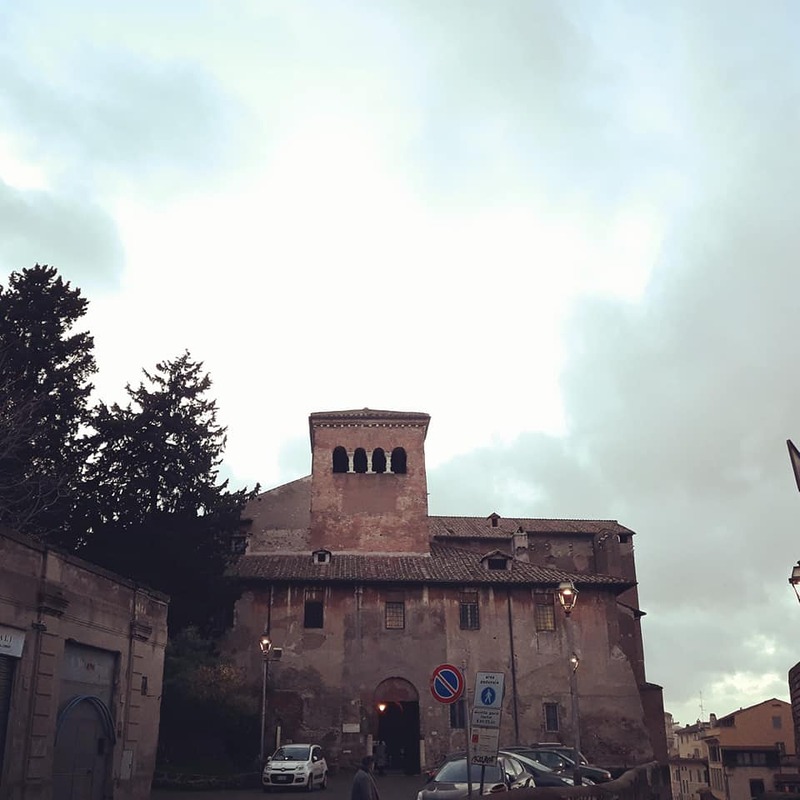 The church is reached though a series of three courtyards, which give it the appearance of a fortress; they were built in front of the church to serve as a place of refuge for the Pope and Cardinals during the many political disturbances which Rome saw in the later 11th century, and throughout the 12th. 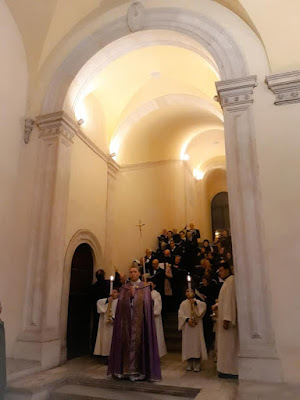 Procession though the cloister - nice work, Agnese! From Fr Alek: a fresco of the titular Saints in one of the courtyards. The Four Crowned Martyrs are traditionally said to have been stone cutters who were martyred when they refused to make idols for the enormous palace built by Diocletian at Spalatum in Dalmatia; the entire medieval city of Split in modern Croatia was enclosed inside the walls of this palace. 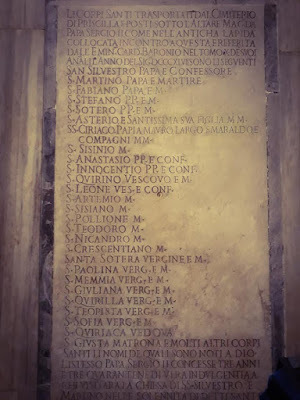 They have long been honored as the patron Saints of sculptors and stone-cutters, as noted in the inscription of the chapel door. 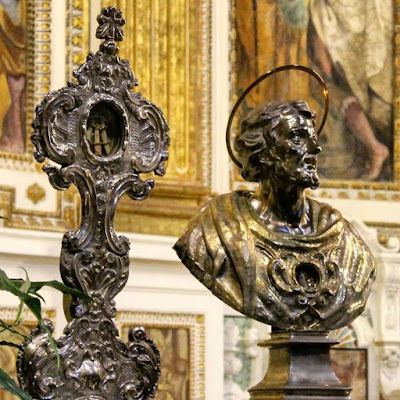 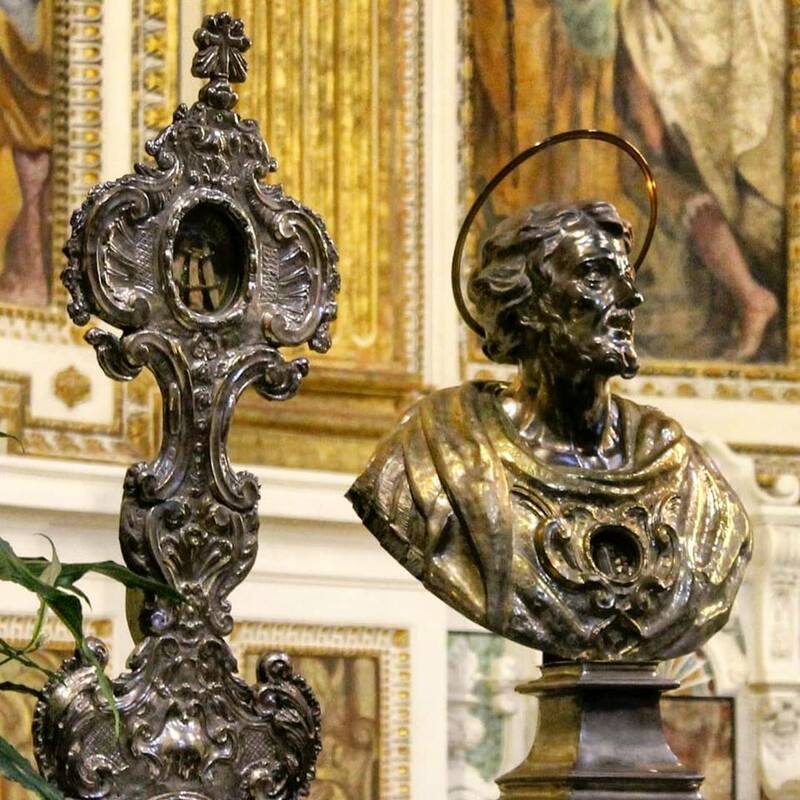 Two relics set on the balustrade of the church’s sanctuary for the feast day. 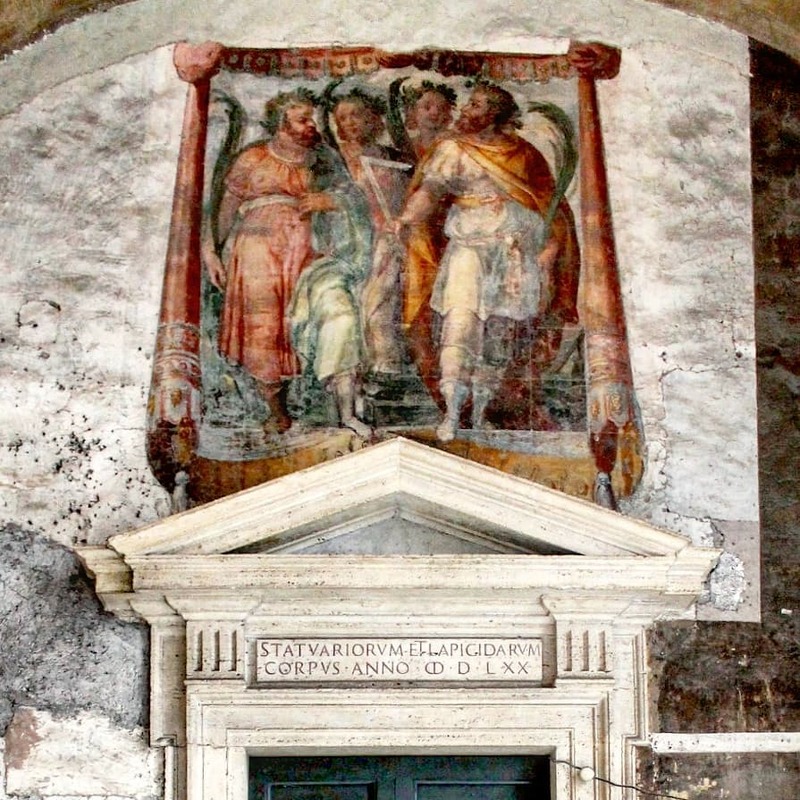 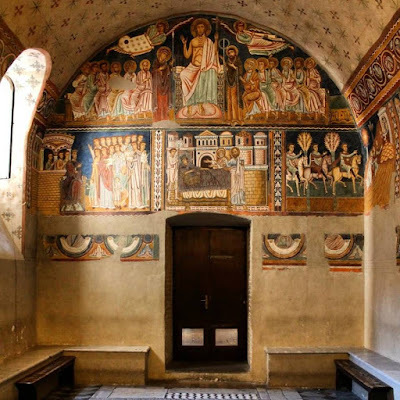 The Last Judgment, depicted on the exit wall of the chapel of St Sylvester. This chapel was built as a place of refuge where the cardinals could elect a new Pope, safely enclosed within the fortress-like constructions around the church, in case political disturbances should make the Lateran a dangerous or impractical place to hold a conclave. 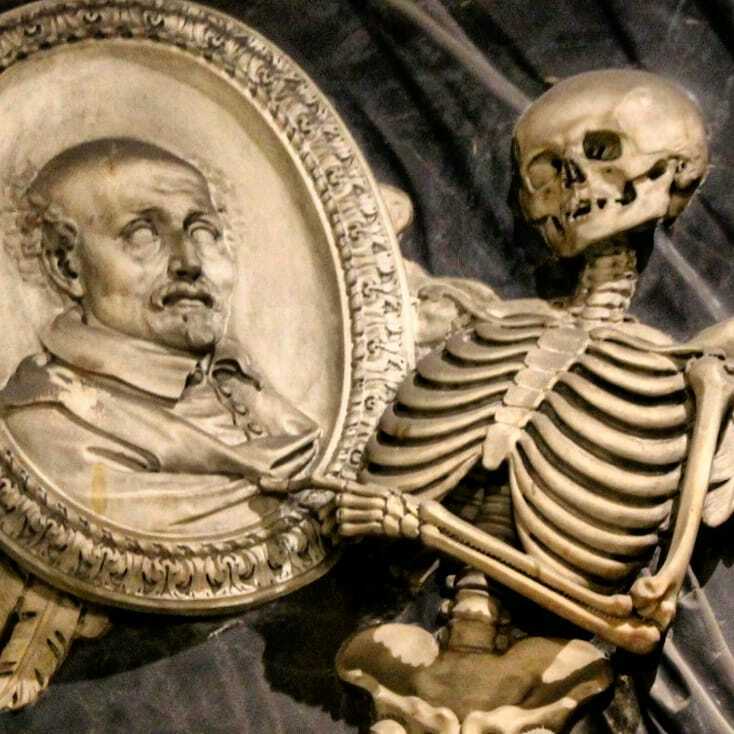 (It was never put to this purpose.) 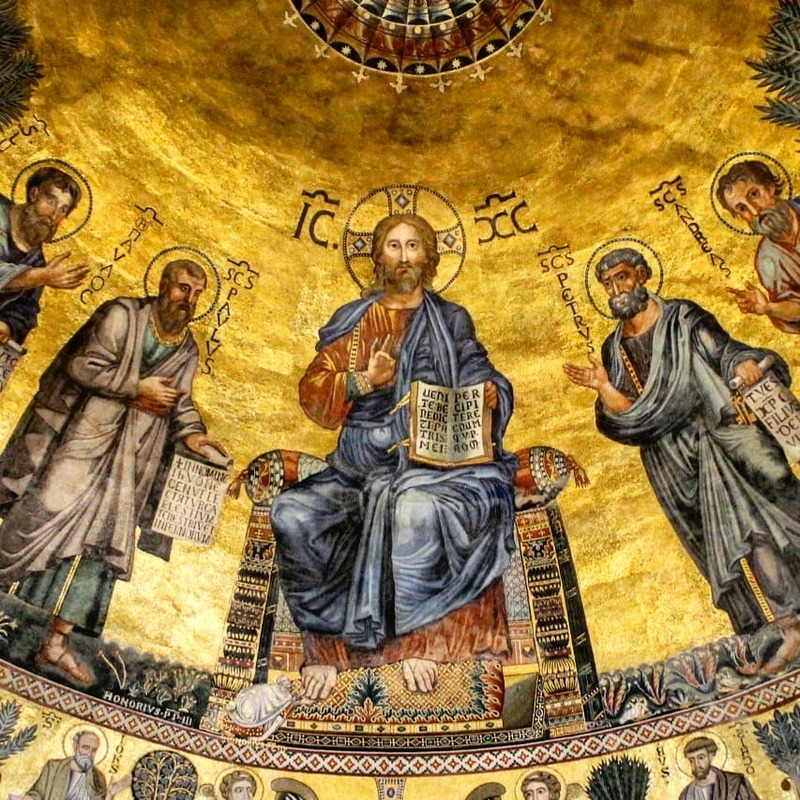 In the upper left hand part, note the very literal representation of St John’s words from the Apocalypse, 6, 12-14, “the sun became black as sackcloth of hair: and the whole moon became as blood: And the stars from heaven fell upon the earth, as the fig tree casteth its green figs when it is shaken by a great wind: and the heaven departed as a book folded up.” Below are shown episodes from the legend of Constantine and Pope St Sylvester I. 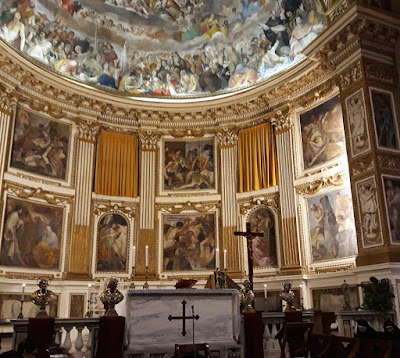 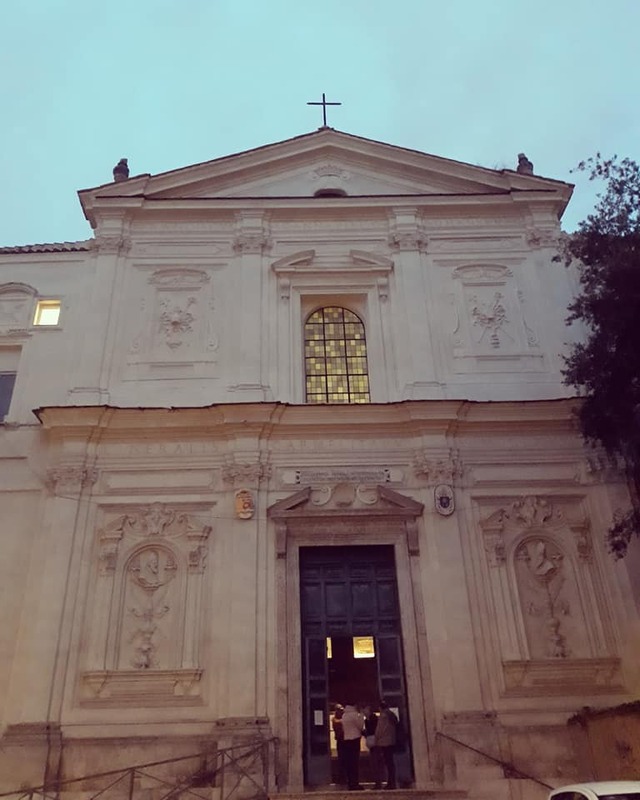 This church is nicknamed for the Pope who founded it, St Damasus I (366-384), in honor of St Lawrence, who has more churches dedicated to him in Rome than do Ss Peter and Paul. 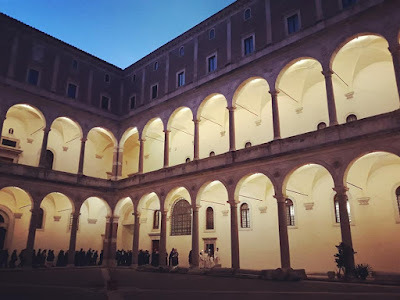 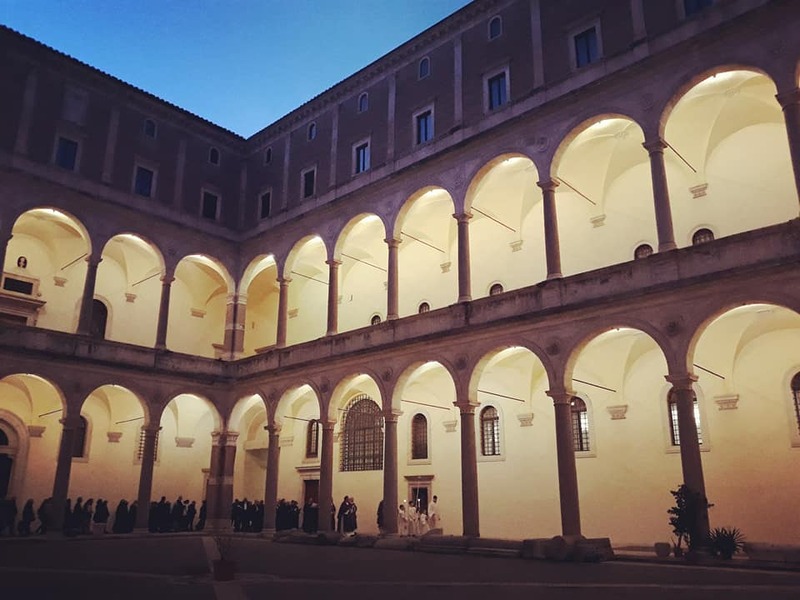 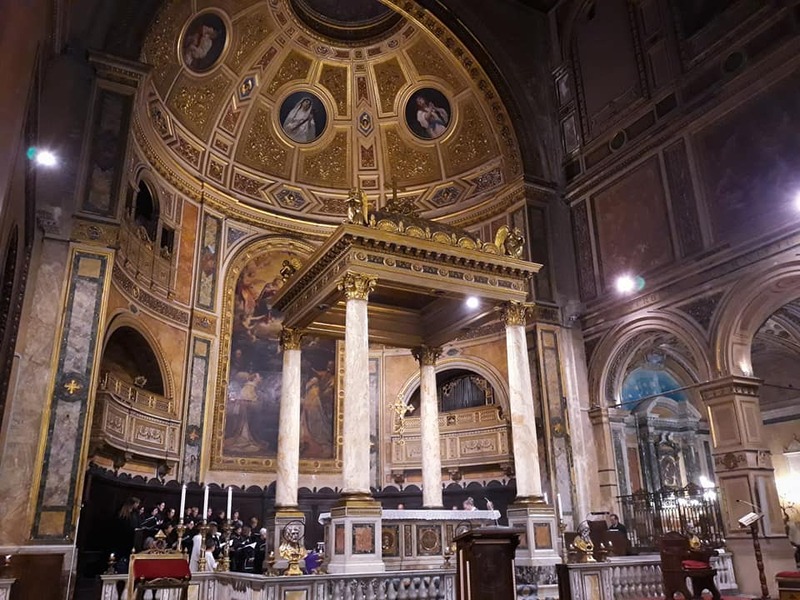 It was rebuilt in the 1ater 15th-century, in such a way that it is almost completely enclosed by the Palazzo della Cancelleria, the Papal chancery building; the procession before the Mass is held within the Cancelleria’s courtyard. 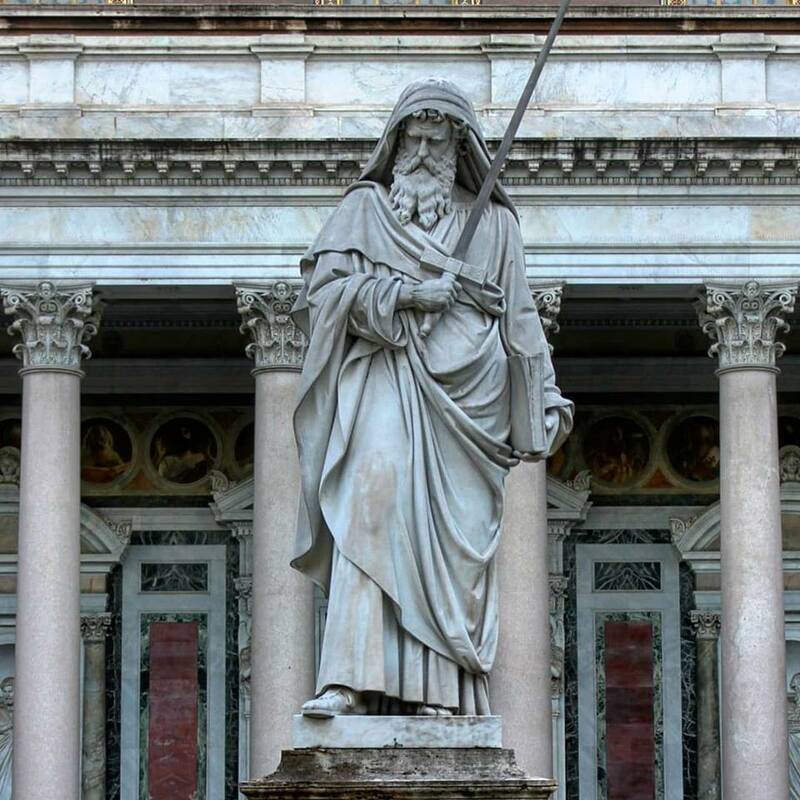 Statue of St Paul in the large colonnaded courtyard in front of the basilica. 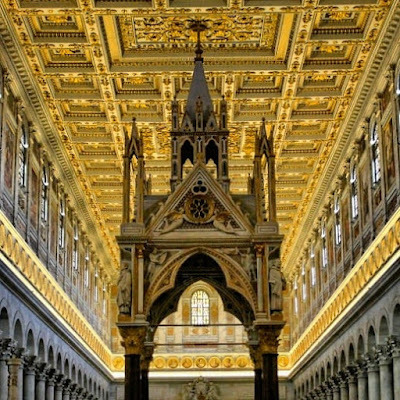 This baldachin over the high altar was made in 1285 by Arnolfo di Cambio, more famous as the first architect of the cathedral of Florence. When the ancient church of St Paul burnt down in 1823, this was one of the very few parts of it that survived. The apsidal mosaic was also mostly spared damage from the fire of 1823. 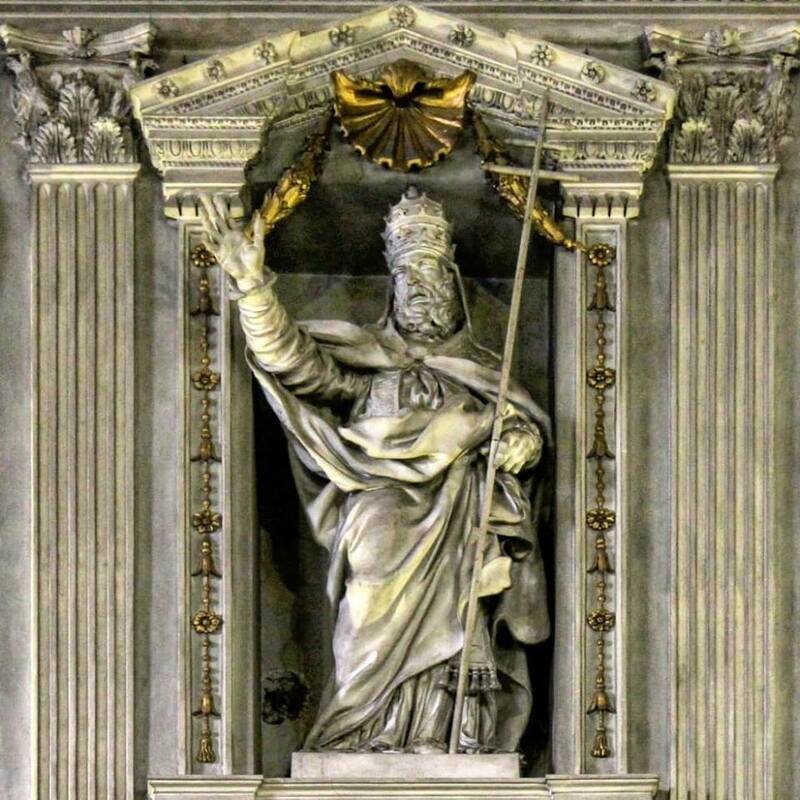 It was executed in the reign of Pope Honorius III (1216-27), who is shown as a tiny figure in white kissing the foot of Christ. Next to St Paul on the left is St Luke, who was of course his companion during some of his missions; on the right, St Peter is joined by his brother St Andrew. 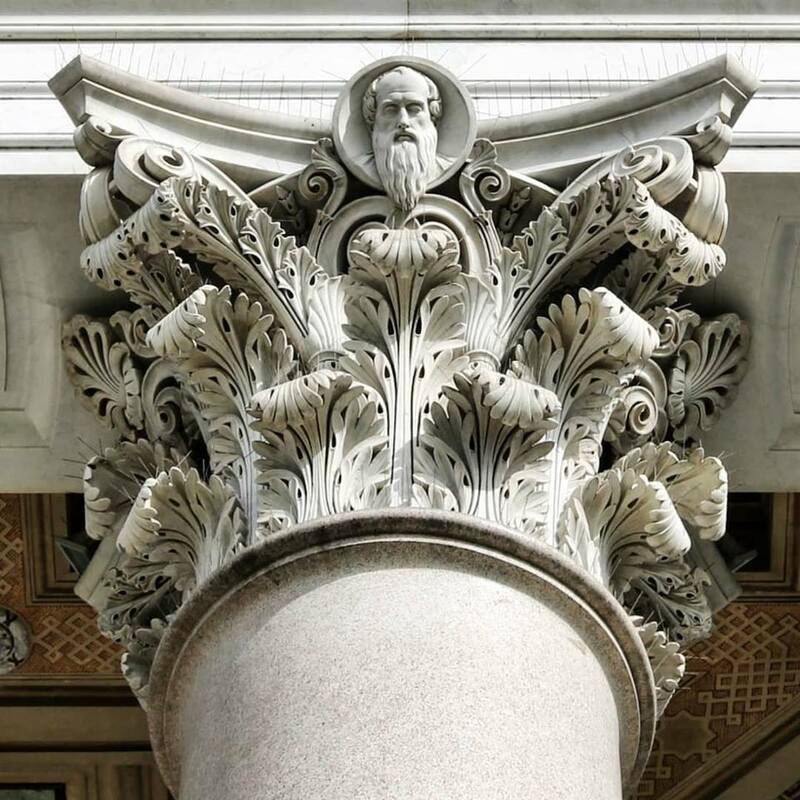 The capitals are decorated with the head of St Paul, where there would normally be a flower. 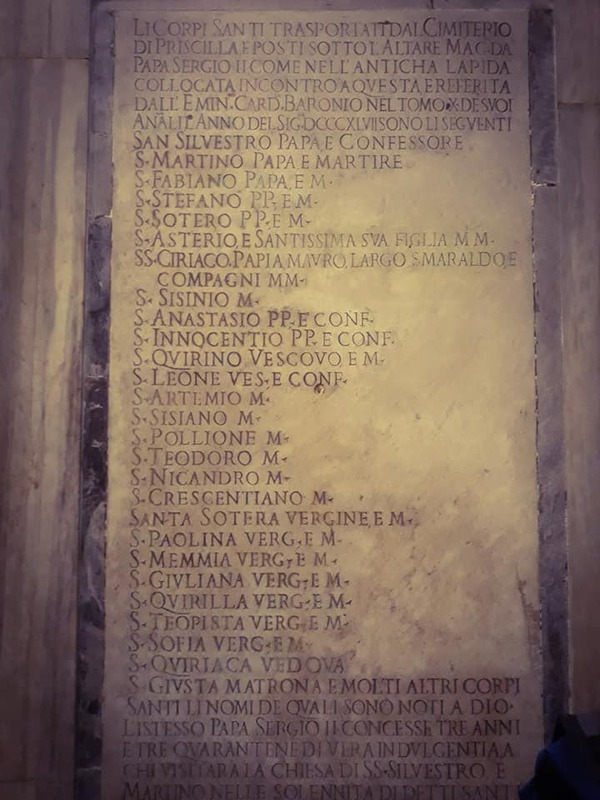 An inscription recording the very large number of Saints whose relics were transferred from the catacombs into this church in the early Middle Ages. From Fr Alek: St Martin shares his cloak with the beggar. 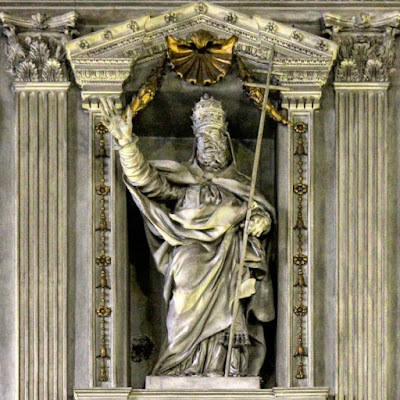 Pope St Sylvester I, who shares the dedication of the church with St Martin, since they were the first two Confessors to be widely venerated as Saints in the West.